The growth of lacrosse in Northeast Oklahoma has exploded in the past three years. Every year lacrosse attracts even more new players at every age level. What used to be a sport with limited accessibility, with new programs developing every year, lacrosse has now become very accessible and Oklahomans are embracing the experience. Grab a hold of a lacrosse stick and you too will see how hard it is to let go! Our program designed for athletes interested in learning and playing lacrosse that may not want to travel with the competitive travel team. Have the opportunity to train weekly for a simple monthly fee. 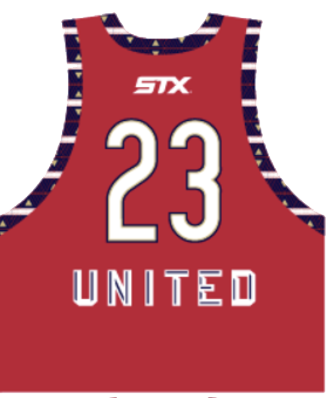 Titan’s competitive travel team formed in partnership with StickStar Lacrosse. Leading the way for OK United are Anthony Crimmins (OK United Program Director) and AJ Anderson (OK United Head Coach). StickStar and Titan aspire to add an additional coach by April or early May. In the meantime, Coach Crimmins will be very visible in Oklahoma to ensure consistency throughout the coming months with an ambitious, OK United, Seminar Training Schedule. For questions regarding our lacrosse programs, please contact Head Coach, AJ Anderson, or John Rhein, Titan’s Director of Field Sports.